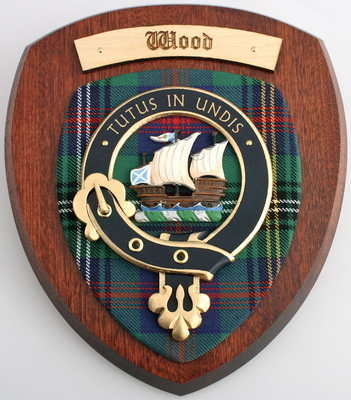 Hand made by craftsmen and women in Perthshire, Scotland, this lovely plaque will truly enhance your home. The design has been approved by the Standing Council of Scottish Chiefs. The hardwood shield measures approx. 19 x 22cms (7.5 x 8.5 inches). Because each plaque is individually made to order, please allow a few weeks for delivery. If you are not resident in the United Kingdom, the PayPal system will automatically show the price in your national currency before you submit your payment. For a quick check, use this link: http://www.xe.com/ucc .